Jean Panzer from Switzerland has teamed up with Bishop’s Pipes and are giving away Pipes on the last Saturday of every month. Entering is simple and the pipes are fantastic, just like all the pipes you can find at Bishop’s. You must be of Legal smoking age in the jurisdiction which you live. 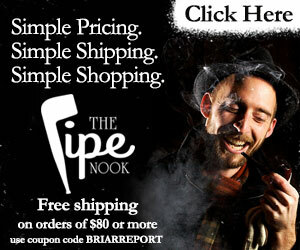 You need to go to the video “Pipe Smoking: get your pipe for free! !” and put in the comments section “I’m in”. Have been generously sponsored by Bishop Pipes. You can find Bishop Pipes on Facebook. 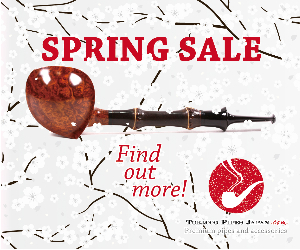 Bishops offers a fine selection of Modern and Vintage Pre-owned pipes. 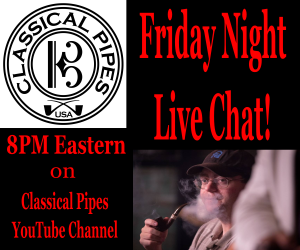 The giveaway announcement will be posted on the Bishop’s Instagram account, so it would be a good idea to follow them and see what the latest pipes that will be given away each month. Here is the video to get your name entered. Be sure to stop by each month and add your name to the list. You must re-enter each month for the current drawing, so if you don’t win go back and get in on the next one. The Jean Panzer channel also gives away pipe tobacco on the second Saturdays. Watch his channel for details on that.